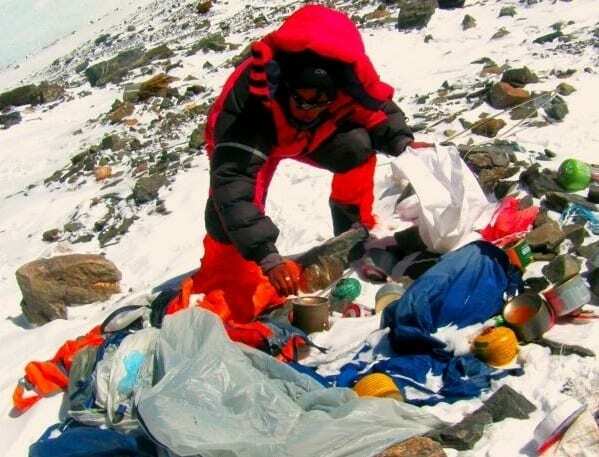 Chinese authorities have been telling Mt Everest climbers to clean up after themselves for some time now, but the rules have just taken a drastic new turn as China demanded adventurers to pick up their bodily waste, too. The authorities did not specify how they plan to implement the new rule. Everest porters have been struggling to carry the 28,000 pounds of human waste – the equivalent of two fully grown elephants – from base camp down to the nearby dumping ground each season. The poop patrol isn’t the only measure authorities are taking against thrill-seeking litterbugs. All tourists have been banned from the base camp in Tibet until further notice in an effort to fight “heavy pollution” caused by people who travel there to take in the sights at 17,000 feet. Now only people with climbing permits will be allowed to reach the camp, and Beijing only issues 300 of those each season. Both Nepal and China have taken measures forcing people to bring their trash back down with them in a bid to combat the littering issue – including charging a $4,000 garbage deposit that’s returned only if climbers return their rubbish. 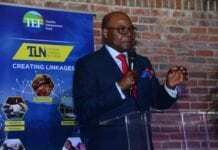 Zambia has the ‎First Vice-Chair for the UNWTO Executive Council and now has a new board member on the African Tourism Board. What is a Borgo, and what is its effect on tourism?